I spent the last week on holiday in Finland, so I guess that must mean it's time for another instalment of these irregular travelogues. 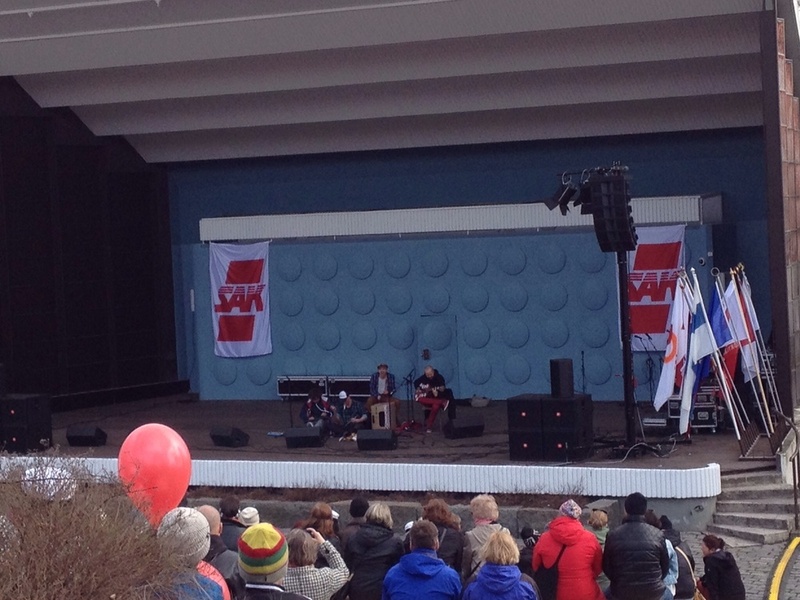 My visit this time coincided with the holiday known in Finland as Vappu, which falls on 1 May. The celebrations actually start (at least for students) the day before with big public parties. Part of these parties involve the placing of hats on statues. 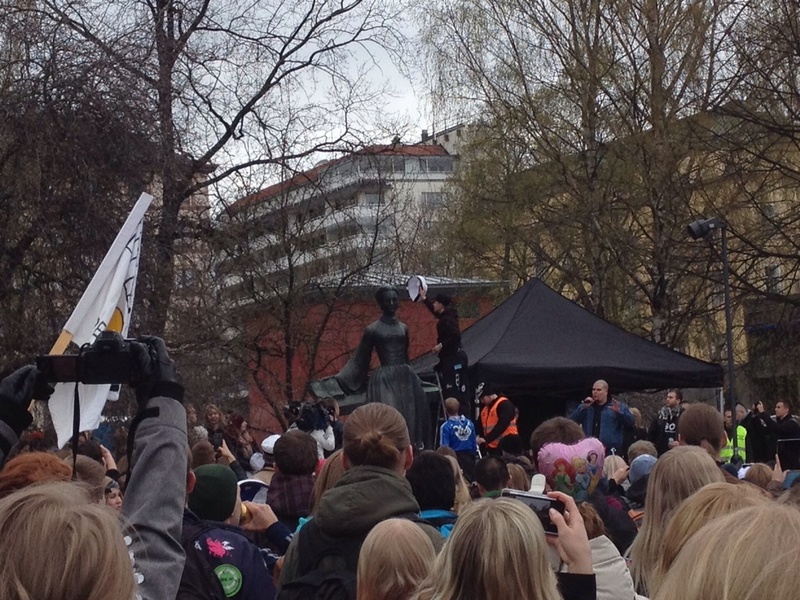 In the case of Jyväskylä, this statue is of Minna Canth, a leading Finnish feminist in her day. Once the statue is wearing her hat, everyone else dons their own. 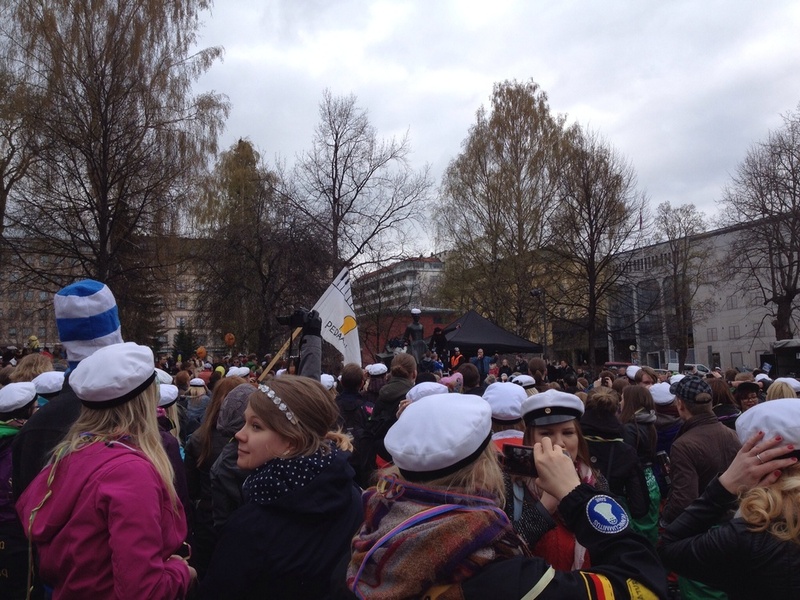 You might be forgiven for thinking I'm surrounded by sailors in the picture above, but these hats are actually given to all Finnish students on completing school. Vappu day itself is more relaxed (possibly a consequence of drinking the night before?). It's a day for speeches, music and chilling out with friends and family. People drink sima, a generally non-alcoholic form of mead, and eat tippaleipä, a tasty type of cake most accurately described as 'brittle'. 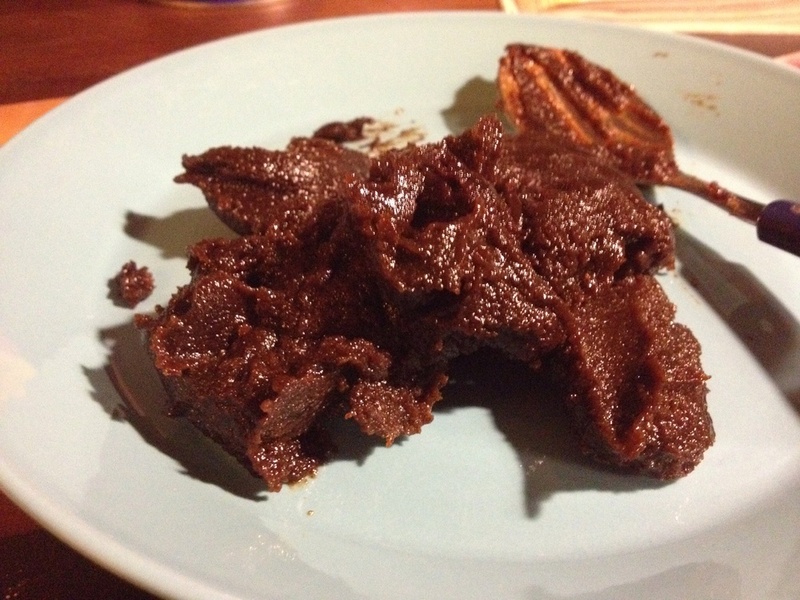 I missed Easter in Finland, of course, but I knew when I arrived that I had to take the opportunity to try out the traditional Easter food, mämmi. The Finns eat a lot of rye, from bread to pasties to crisps, all of which are delicious, but mämmi is perhaps the ryiest of all. I'd not heard particularly encouraging things about it, to be honest. I'd like to say that it was surprisingly tasty and my new favourite food, but unfortunately I'd be lying. While in Jyväskylä I managed to attend a game of ice hockey. It's the most popular sport in Finland, but this was the first time I'd seen it played. It's a very fun sport to watch: fast paced, filled with displays of great skill and just a little bit violent. It's particularly impressive to me given that I wouldn't even be able to move around the pitch, so poor are my skating skills, nevermind play hockey on it. This was actually a charity game for Vappu with celebrity players, and the rules may have been relaxed somewhat. For example, I might not really understand the rules of ice hockey, but I'm pretty sure the scene below wouldn't take place on any other day. For scheduling reasons, I flew for the first time with Finnair into Helsinki airport. It was considerably more luxurious than my usual flights, with free coffee and sandwich. It was also a good excuse to spend a day in Helsinki. I'd been before, staying on the outskirts, but this time I stayed with a friend in a youth hostel that as it happened was part of the old Olympic stadium. Nice hostel, nice location and remarkably good price, so worth remembering if you're in the area. Also free parking, and it's half an hour's walk from the centre along the river. Plus I can't think of a youth hostel I've ever stayed in with its own athletics track. 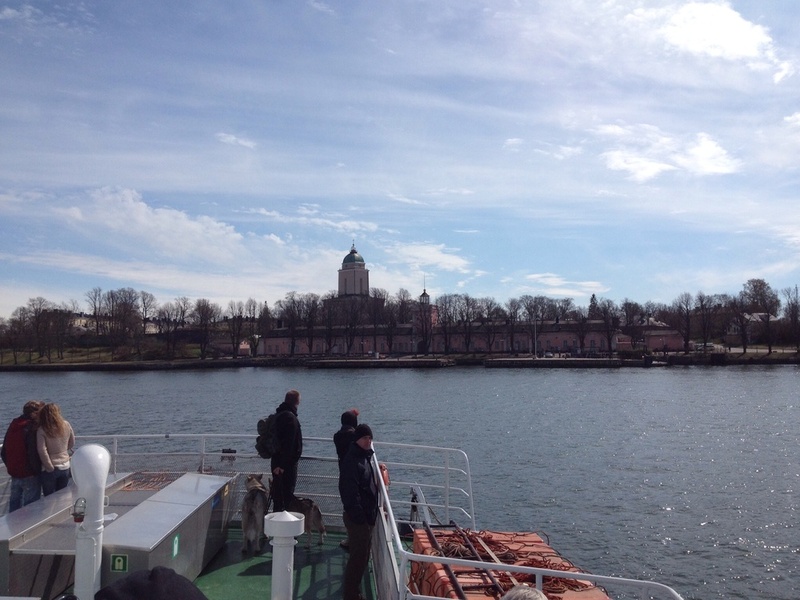 While in Helsinki we took the ferry across to Suomenlinna ('The Castle of Finland') , which is an island fortress just off the coast. 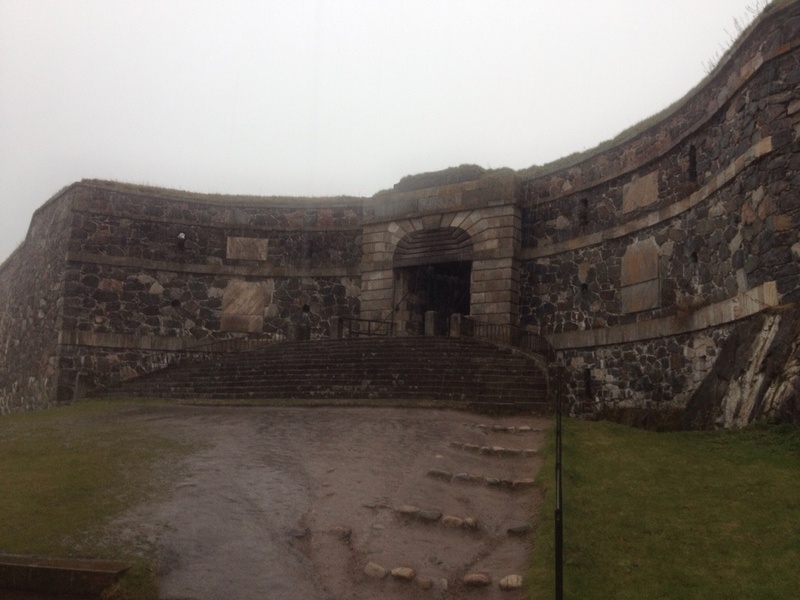 It was originally constructed by Sweden when it ruled Finland, but was captured by Russia in 1808 after a three-month siege. It became Finnish when Finland became independent, and it's now a UNESCO monument, a home to about 900 and a rather impressive place to visit. Of course the Finns even have a better class of fortress than the rest of us. That evening in Helsinki we visited a bar named Stone's, which has a good selection of beers and unlike a lot of places is open on a Sunday. My own knowledge of Helsinki is very limited, but if you want to know what to do there you should check out the blog HelsinkiIn, which is full of good ideas and also offers regular insights into Finnish life that I've always found very interesting. If you've got anything to add to what I've said, or if there's anything else you'd particularly like me to write about next, let me know in the comments below. 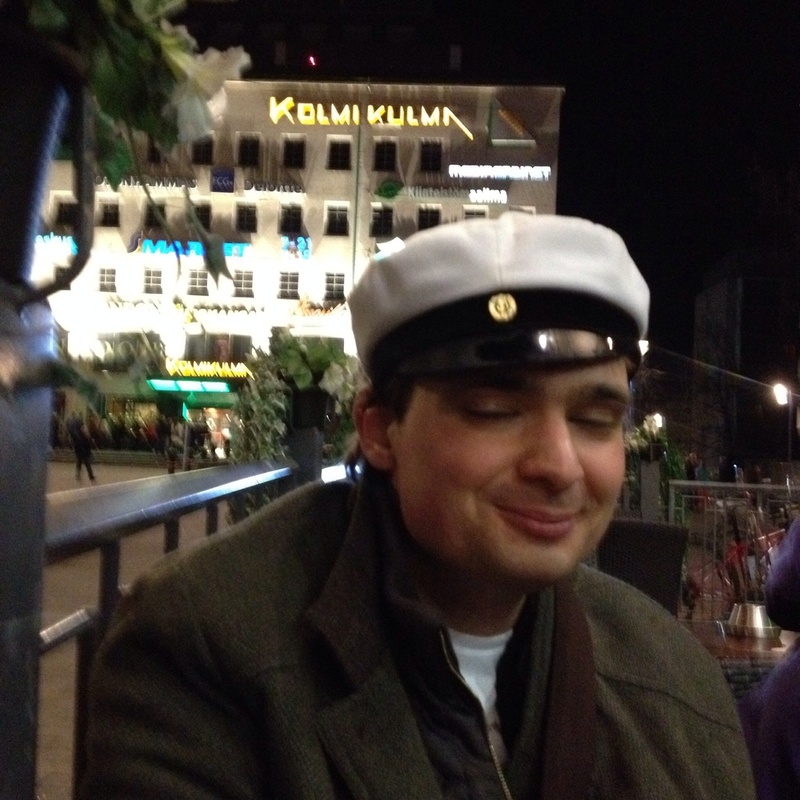 If you haven't already, you might like to have a look at my other articles on Finland here. And if you need even more to read you could always try my book!